The program will run in the winter of 2019-2020 (Aug. 2019 to March 2020). Tournaments will take place in early September, over the Christmas/ New Years Holiday, and in early spring 2020. 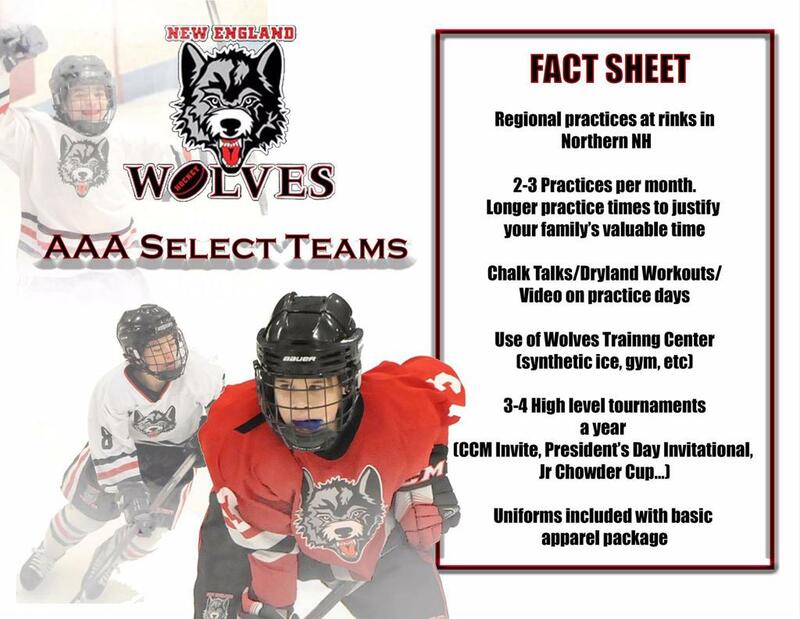 Practices will be on weekends at regional rinks throughout the state including (Ham Arena, Plymouth State, Merrill Fay Arena, the Tilton School and more). The "Tournament Team" model will be registered and insured through USA Hockey, and will allow players the flexibility to also be registered within their current youth hockey program, on their youth hockey program's Full Season team. 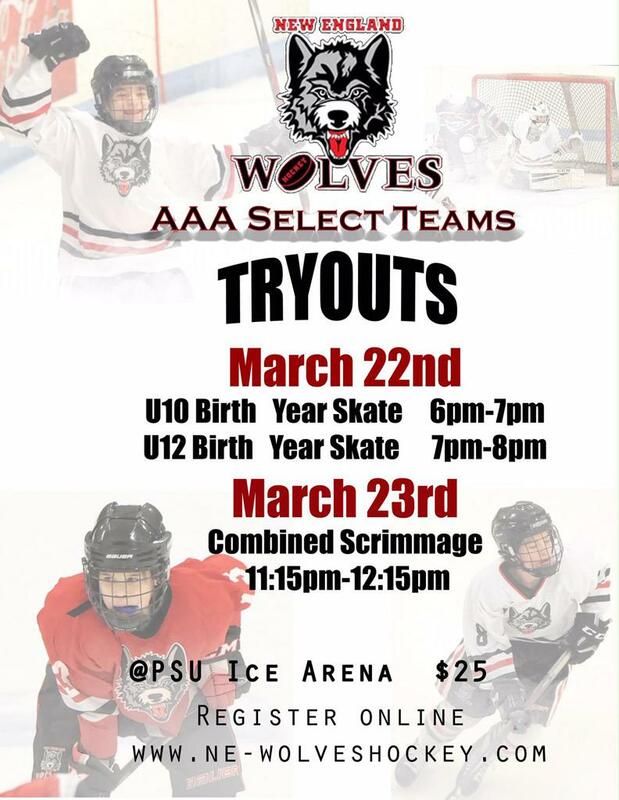 Tryouts for the Wolves U10 & U12 AAA Select Teams will take place at Plymouth State University on March 22nd (U10 at 6pm/ U12 at 7pm) and on March 23rd (Combined scrimmage at 11:15am). You can register your youth player TODAY on the homepage of the Wolves website. Tryouts are only $25!! Email- Scoringconcepts@gmail.com for more Info.